I’m not a doctor, nor do I have any kind medical training beyond a short First Aid/CPR course I needed to complete to become a foster parent years ago. What I AM an expert in, however, is getting injured. ‘Tis a gift. . .and I use it well. Sigh. This week was relatively calm for me. Aside from the usual number of small cuts and bruises I tend to get when I’m in a hurry in the kitchen, I only managed to break a big toe and to burn my left arm. All in all, a fairly decent week for me! The minor stuff wasn’t a big deal. . .and easy to deal with. The toe was (is!) a little more troublesome, but it’s splinted and immobilized and will now just need time and rest to heal. The burn, however, gave me a little pause. 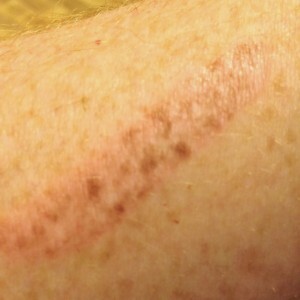 It’s about 2 1/2 inches long and 1/2 inches wide and sure hurt like the dickens when I did it (as all burns do, really). I’d been flying around the kitchen (per usual, which is, like I said, how I often hurt myself: well exceeding the posted culinary speed limit) trying to single-handedly prepare a large English Roast Dinner for my beloved British husband. . .complete with caramelized parsnips and delectable Yorkshire Puddings. At some point, as I was reaching into the packed oven (the roast, parsnips, mixed veggies, and roast potatoes were in there), I hit my left forearm against the edge of one of the roasting pans and my skin actually sizzled! OUCH! I immediately applied cold water to stop the deepening of the burn, but BOY did it hurt. But, at that moment, I really didn’t have much time to address it any further. I turned the icy water off, dried my arm, and turned back to dinner, which was reaching critical mass. By the time I dinner was served, my arm was throbbing and blisters had raised all along the burn. I hurried through the meal and went to look through my first aid kit to see what I had to help. 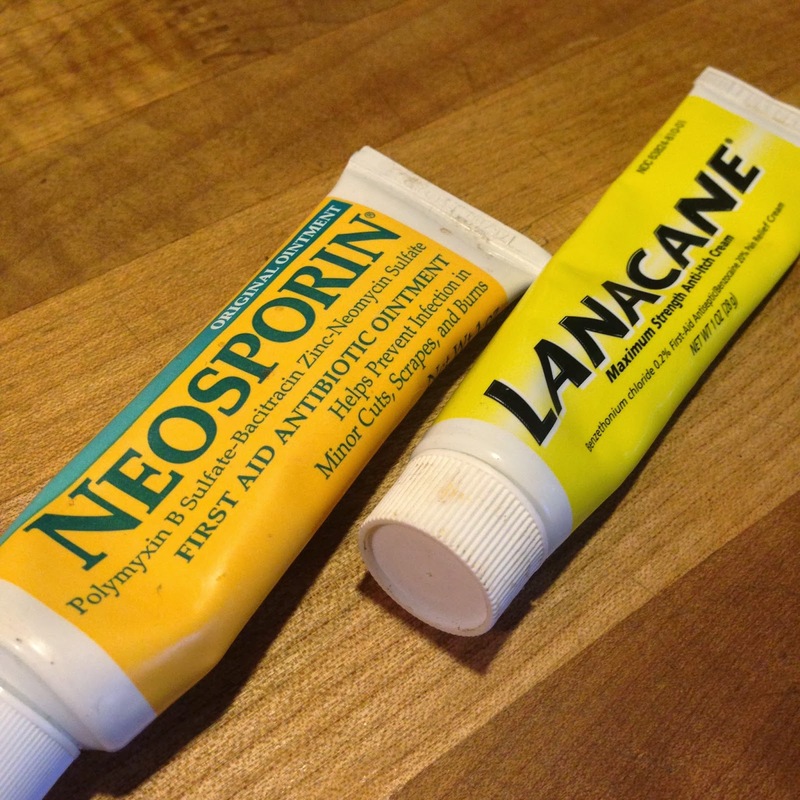 I only had two things that seemed like they would offer any assistance: Lanacane and Neosporin. The blisters were closed, so I decided Neosporin didn’t look as helpful as Lanacane, which was the only one of the two that promised topical pain relief. So Lanacane it was. It sure hurt going on, and for some time afterward, but eventually I noticed a little lessening of the pain. Still, there wasn’t enough relief for me to be satisfied so I decided to hunt on the net for some natural aids that might work better and actually be better for me. Honey. Used for centuries for a variety of ailments, it’s a natural anti-bacterial and anti-inflammatory. Gently cover burn with honey (preferably raw!) and cover with a bandage. Aloe Vera. This one I knew, but I didn’t have any. Use the purest form you can find, not products with aloe vera as one of many ingredients. If you can, buy a small plant and simply cut off a bit of leave and use the gel inside on the burn. Works well for sunburns, too! 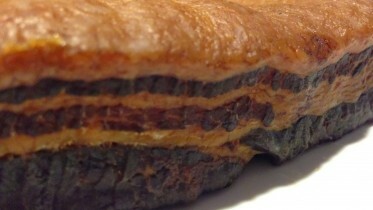 It draws out the heat, eases pain, and is anti-bacterial as well. Awesome stuff. Vinegar. An astringent and antiseptic, vinegar also helps to prevent infection. Mix equal parts water and vinegar and then dab the burn with a soaked cotton ball. Mayonnaise. Like we discovered in my 15 alternative uses for mayo post, the vinegar in mayonaisse should help with the pain. Chamomile. This herb has antibacterial, anti-fungal, and antiviral properties. Boil it as a tea, let it cool completely (even chill it in the fridge), then soak a cotton ball and gently apply it as a compress. Mustard. Doesn’t do anything on the anti-bacterial side, but can ease the pain in a pinch. Egg Whites. Same as mustard. . .relieves immediate pain, but you still need to address the anti-bacterial needs. Tea Bags. The tannic acid found in black tea helps draw heat from a burn. Make strong tea (two bags to a cup), remove tea bags, but do not throw them away. When the bags are completely cool, they can be used as a poultice. When the tea is completely cooled, it can be dabbed gently on the the area with a cotton ball. Salt. Burns in your mouth can be relieved by rinsing with 1/2 salt to 8 ounces of water every hour or so. I’ve also read that Lavender Essential Oil and organic Coconut Oil are awesome for burns, but I didn’t have any to hand. I may give them a go in the future, but will probably work my way through this list first! I feel a lot better knowing what to do next time a minor burn occurs, especially since a great first aid kit for burns was already lurking in my kitchen! Knowing me, I won’t have too long to wait for the next opportunity to test these home remedies! Be the first to comment on "How to Treat a Burn Naturally"